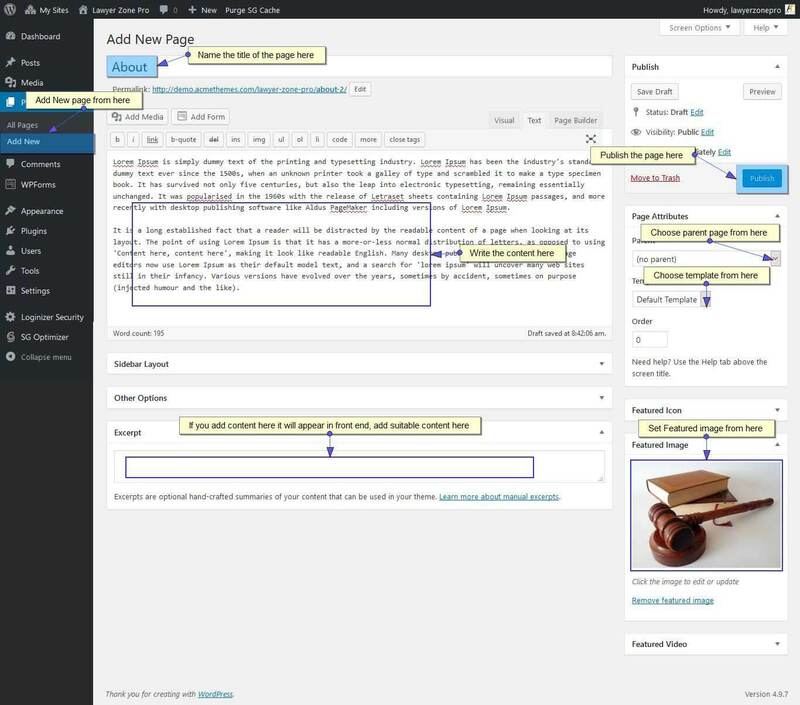 Lawyer Zone Pro is a Fully Responsive Multi-purpose WordPress theme. The theme is suitable specifically for Law firm and Lawyers Portfolio. Upload the Zip file of Lawyer Zone Pro. Extract lawyer-zone-pro.zip and upload the folder. One click demo import is available on Lawyer Zone Pro. Note: We recommend you to import demo data on the new installation. This feature is only available in Pro theme. If you have knowledge on HTML and CSS then you can add your codes below to customize the theme.